Saturday, September 17th from 6-7:30pm in Templeton. $35. Email or call me to sign up or for directions. We could all use some extra assistance during these potent transformational times; especially this month with two eclipses and mercury retrograde! Celebrate the Fall Equinox and the full moon in this workshop as you set new intentions for yourself. 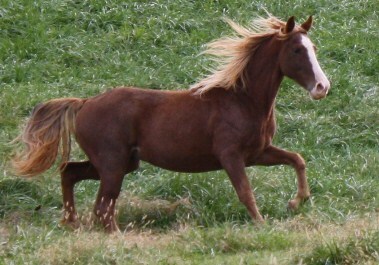 Heal relationships, emotions, health issues and behavior patterns with the help of the horses! Bring your intentions and a token of offering to the spirits of land and the horses in this powerful workshop for starting a fresh chapter in the book of your life! 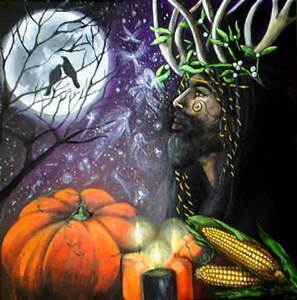 We will be working with the energies of nature and the full moon/equinox in sacred ceremony to fully access and activate our intentions. In the last half we will work with the horses for extra guidance, healing, nurturance, support, and empowerment with all of our upcoming changes. The interactions with the horses will include active and reflective activities, all on the ground. No horse experience is necessary. Cost is $35. Sign up deadline by Wed Sept 14th. Email or call me to sign up for directions: [email protected] or 805-451-1585. 704 Main St. in Cambria, CA. Come on over anytime on saturday and join the fun! Get all your animal questions answered and treat your animal to a healing session to improve or prevent health, emotional, and behavior issues. 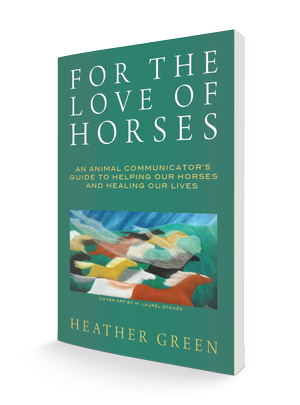 Meet the author of “For the Love of Horses,” Heather Green, who will be doing readings, healings, and book signings all day. Animals are welcome but your animal does not need to be present to participate. 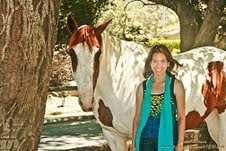 I’ll be introducing my book, “For the Love of Horses: An Animal Communicator’s Guide to Helping Our Horses and Healing Our Lives.” The book is about my healing journey with the horses, and how with the horses help, I was inspired and motivated to leave a thirteen year career in nursing and follow my calling to be a human and animal intuitive-healer. The stories of the humans and animals whose lives I touched are scattered throughout the book, as well as how these amazing beings assist us in our personal transformation. But most importantly, the book emphasizes how we in turn, can give back to our beloved animal companions, benefitting their lives. This is a great book for learning how to communicate, connect with, and work with energy to help your animals heal and thrive.